This was a disappointing week due to frustrating winds & a rise in water through the tail end of the week. We ended up with 20 kelts from both banks. I invited the marketing manager of LTS Mark Paterson down for a cast on Friday & Saturday as we had a spare rod. Ken Reid & Gary Scott fished the beat hard and managed a kelt each, landed in Middle & Upper Ferroch. 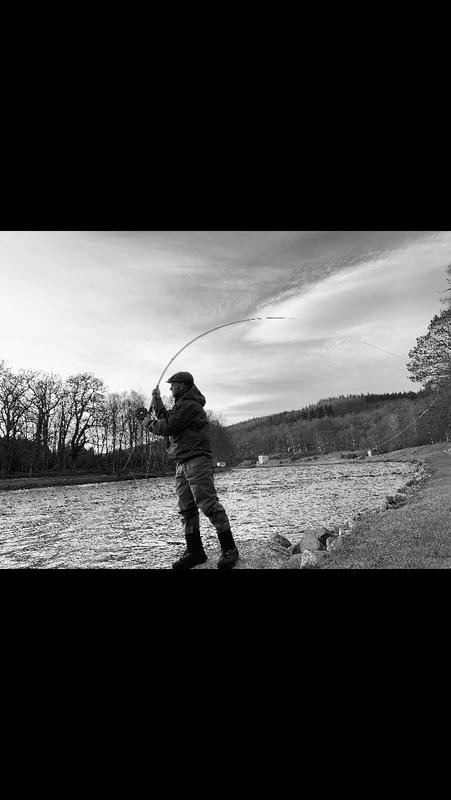 I was delighted to meet the ghillie from Balmoral, David Fernie, who was fishing with us on Saturday. David lost a fish in Middle Ferroch & had a few more pulls. He was using a floating line with a fast sink tip. managed a few kelts out of malt steep and middle & lower Ferroch. Here’s hoping this little rise will pull fish in from below.